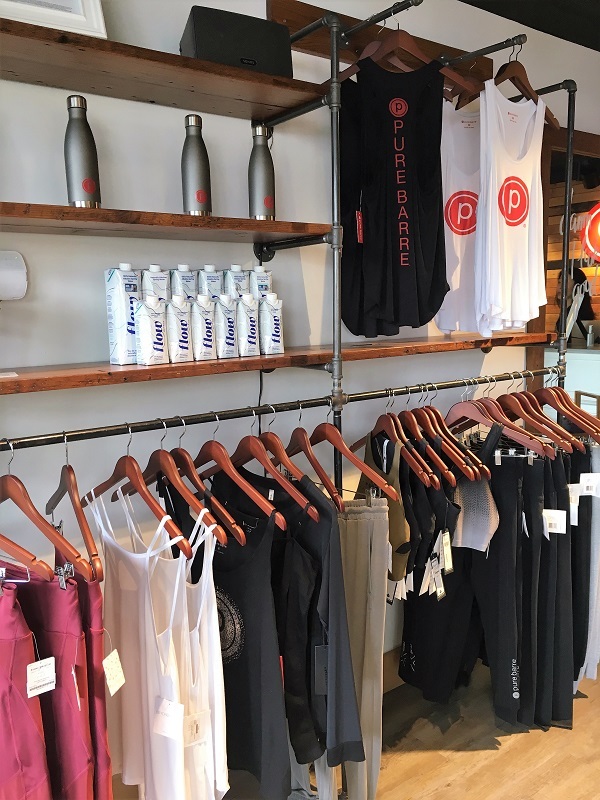 I’ve been going to Pure Barre in Kitsilano, Vancouver for a few months now and I absolutely love it. Have you tried barre? If I’m honest, I was a bit skeptical about how effective it would be. Coming from a dance background, barre was a controlled foundation-builder but not a real workout. I was pretty antsy to get active after a car accident I had at the end of last year, and since I was under strict orders not to jump into anything weight-bearing or jarring, my girlfriend Marisa recommended I give Pure Barre (where she’s an instructor) a try. In my first class, I brought a friend who is hard-core into running, reformer pilates, and is an ex dancer. She assumed this would be a cake walk, too. You see where this is going. Whoa. The tiny and repetitive motions had me in absolute shakes, and my heart rate was up the entire time! Needless to say, that first class stayed with me for the next few days every time I laughed or walked a set of stairs. They have the cutest swag too! The music. It was curated to go perfectly from warm up to strength training that needed some motivation and then to stretching. The vibe of the studio. There are so many intense, cliquey feeling places to work out these days. I’m not super into that cult-like vibe, and this was laid back and fun. The personal instruction. It had been four months since I’d done anything active, and my neck and upper back are still being rehab’d. The instructor gave me modifications for everything, as well as mods for others with various injuries and one woman who was postpartum. The results. I’ve been going for a while now, and I am visibly tighter and feel incredible. Do not wear shorts. There is a lot of leg out action happening, and even the biggest Bridgette Jones style undies won’t keep you covered. Stick to tights. Get the grippy socks. While you can wear your own socks, I recommend buying a pair with the sole grips that they sell. Best $20 I’ve spent. Embrace the shakes. The intricacy of the movements gets into the tiniest muscles – you are gonna shake! Lean into it because you aren’t alone. I didn’t ask her while we were doing this. More likely, I was asking when the F my calves would stop burning so intensely. I asked Marisa a few questions about her experience with Pure Barre and here’s what she had to say. How did you get involved with Pure Barre? I was introduced to pure barre during a weekend trip down in Seattle, I took one class and I became obsessed. I loved how challenging it was. Pure Barre allows you to shut your brain off for 50 minutes and let the music take over. It’s very similar to taking a dance class, but no dance experience necessary! What positive effects do you see on women who come regularly? I can honestly say that after two years of doing barre I can see my abs and arms really tone up. It is all about consistency though, and like with anything else if you aren’t committed you won’t see the results you want. Women who come 3-4 times a week see changes in their body even within the first month! The good thing about barre is that it is low impact so your body can recover quickly after each class and you can keep coming back for more!